Canon has unveiled its smallest and lightest Mini Photo Printer. Photos can be printed directly from smartphones, tablets or social media apps to the Mini Photo Printer via Bluetooth, using the Canon Mini Print app. 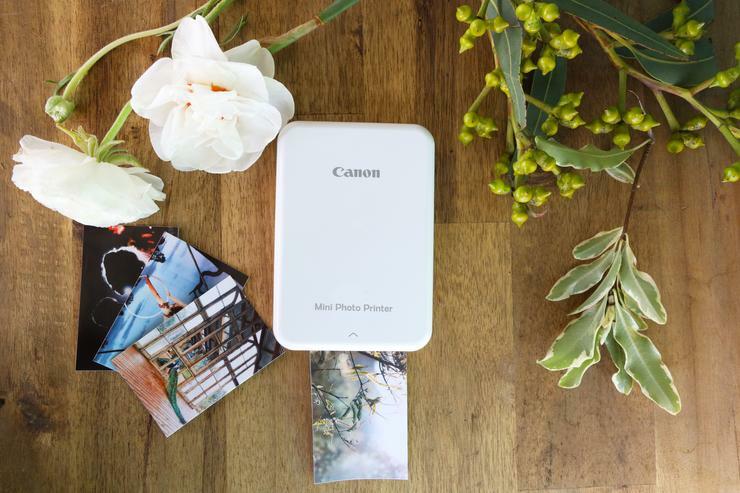 In addition to Instagram and Facebook, the Canon Mini Print app lets users connect with Google Photos and Dropbox. The app also includes creative filters, such as photo frames and stickers, augmented reality (AR) face distortion, as well as additional photo-editing tools including added text, frames and the option to draw. The Mini Photo Printer produces a 2-inch by 3-inch print or peel-and-stick photo. Users can also create a tile print that is made up of four or nine prints, or use collage templates that print onto one 2-inch by 3-inch photo. The Canon Mini Photo Printer features Zero Ink Technology from ZINK, which means that no ink is required. The printer uses ZINK paper which is infused with colour crystals that melt to print when heated. Each pack of ZINK paper comes with one blue ZINK Smart Sheet that calibrates the Mini Photo Printer to the photo paper. The rechargeable battery-powered portable printer comes with a started pack of 10 Canon ZINK photo paper, with additional paper available for purchase in packs or 20 or 50. The Canon Mini Photo Printer will be available from https://store.canon.com.au/ and Aldi from 8 December 2018. For more information, visit https://www.canon.com.au/printers/mini-photo-printer.